From stunning temples and ancient architecture in larger cities to scenic lakes and huge mountain ranges, you’ll find everything from natural beauty to historical landmarks in India’s Northern Zonal Council. Home to India’s capital, New Delhi, and a range of other landmarks, the Delhi state will probably be your starting point on your trip to northern India. Stop off at beautiful religious buildings, including the Baha’i Lotus Temple and the Islamic Jama Masjid, as well as impressive architectural sights, such as the 17th-century Red Fort. 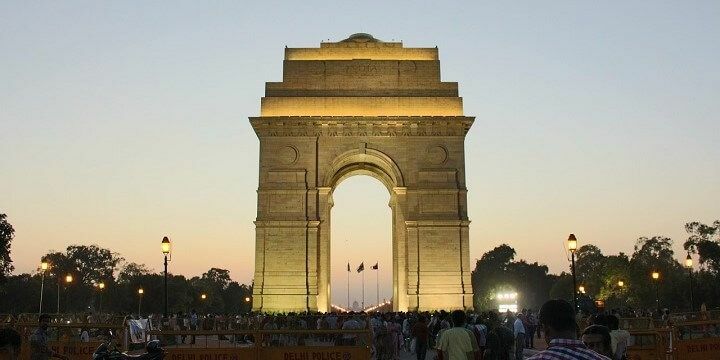 Don’t miss out on New Delhi’s political landmarks, including the India Gate, which commemorates India’s independence. The India Gate commemorates India’s independence. Escape the touristy areas by strolling around neighborhoods like the Lodhi Art District, where you’ll see gorgeous murals from both Indian and international artists. Alternatively, check out the area’s markets, including Dilli Haat for arts, crafts, and clothes, or Khari Baoli Road, for the largest wholesale spice market in India. The city of Chandigarh serves as the capital of the two states of Punjab and Haryana, but is actually a great place to unwind. Relax at the three-square-kilometer Sukhna Lake, a manmade reservoir at the foot of the Himalayan mountains. Alternatively, stroll around the Zakir Husain Rose Garden, the largest botanical garden in Asia, which is home to over 800 rose species. The Rock Garden of Chandigarh features around 2,000 sculptures and statues. 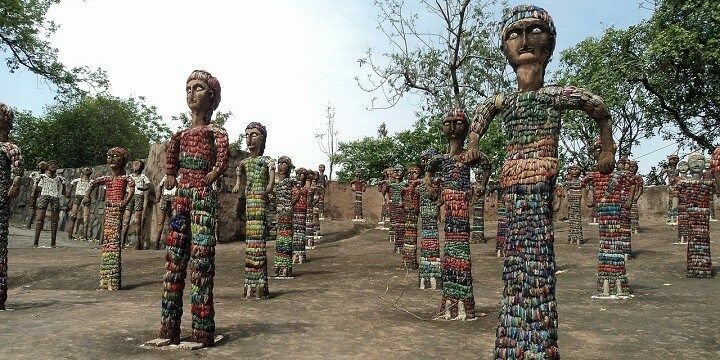 Then, head to the Rock Garden of Chandigarh, where you’ll find around 2,000 sculptures and statues. Punjab and Haryana offer far more than just their capital. Gurgaon, Haryana’s second-largest city, hosts the beautiful Tao Devi Lal Bio Diversity Park, as well as the fun Kingdom of Dreams entertainment complex. 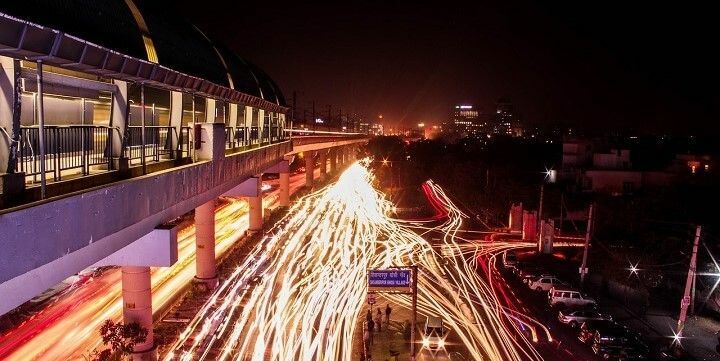 Gurgaon is Haryana’s second-largest city. From Gurgaon, you can take a day trip to the spectacular 17th-century Pinjore Gardens, located about 550 meters above sea level, where you’ll find landscaped gardens, waterfalls, and fountains. The prosperous Punjab state is of huge significance in the Sikh religion. Amritsar, the capital of the Sikhism, is home to a stunning golden temple, while Anandpur Sahib, two hours north of Chandigarh, hosts a 17th-century temple, with scenic mountainous surroundings. 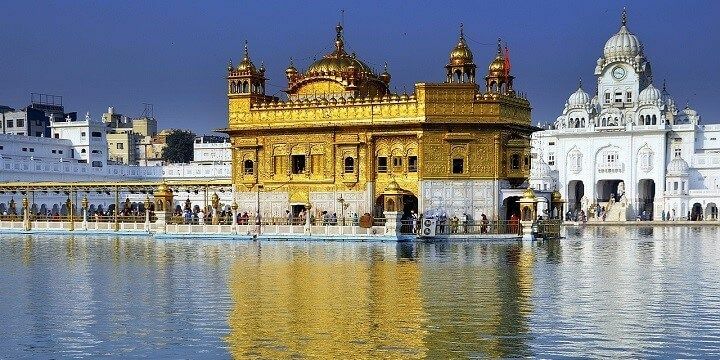 Amritsar is home to a stunning golden temple. Bird watching enthusiasts should head to northern India’s largest wetlands, Harike Wetland, to spot around 360 water bird species. The Himachal Pradesh state is home to a huge range of hill stations (high altitude towns). Manali, for example, sits at 2,000 meters above sea level. Its valleys offer fantastic skiing opportunities, while the nearby Great Himalayan National Park is great for trekking and spotting a range of wildlife. The Great Himalayan National Park is great for trekking and wildlife spotting. Shimla, meanwhile, has an elevation of 2,205 meters and is home to the beautiful Chadwick Waterfalls. 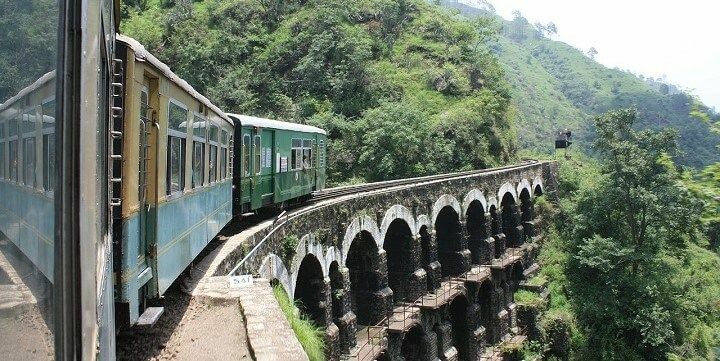 Shimla has an elevation of 2,205 meters. 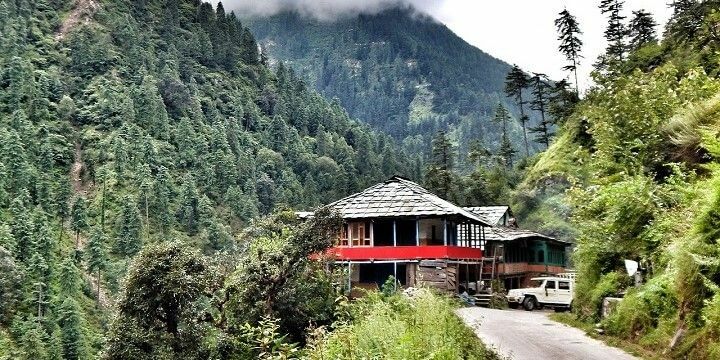 Alternatively, head to Dalhousie, which stands at 1,970 meters above sea level, and is close to the Kalatop Wildlife Sanctuary, where you can spot bears and stroll along the beautiful Ravi river. Start your visit to the Jammu and Kashmir state in Srinagar, which is famous for its Dal and Nigeen Lakes. With 1,000 houseboats, plenty of shikaras (small rowing boats), and a floating market, these lakes are a hive of activity. 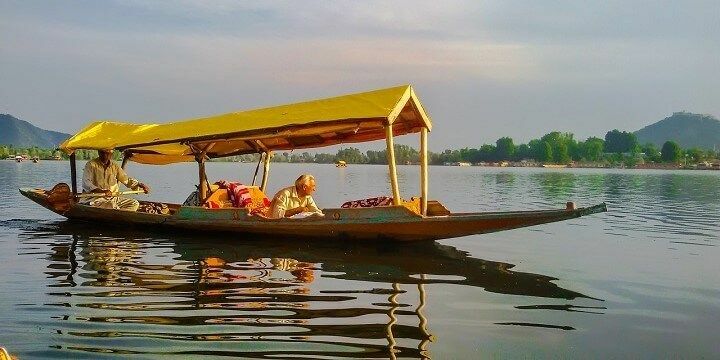 The Jammu and Kashmir state is famous for the Dal Lake. For more natural beauty, check out the Thajiwas Glacier, which is great for hiking, and Gulmarg, a fantastic skiing region, with a cable car that will take you nearly 4,000 meters up Mount Apharwat. The Ladakh region, meanwhile, has several trekking routes, including the Markha Valley Trek, which will take you through mountain passes and the incredible Hemis National Park. The Rajasthan State is known for its old forts and palaces. 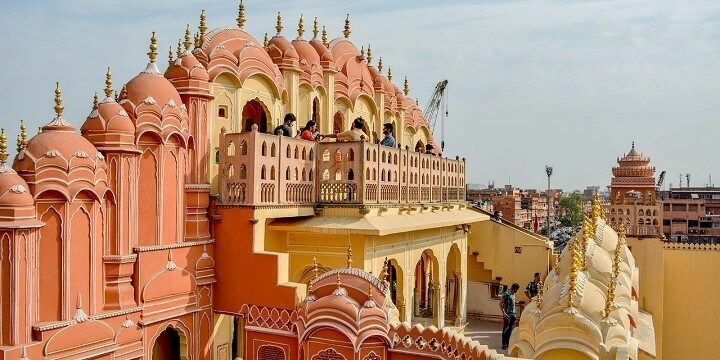 The "Pink City" of Jaipur, for example, is home to the Amber Fort overlooking the Maota Lake, while the "Blue City" of Jodhpur hosts the Mehrangarh Fort, with an incredible view over the city’s blue houses. Jaipur is also known as the "Pink City". Udaipur also has old buildings, such as the huge City Palace Complex, but is also a great place to unwind, thanks to the two manmade lakes of Pichola and Fateh Sagar, which can easily be explored by boat. 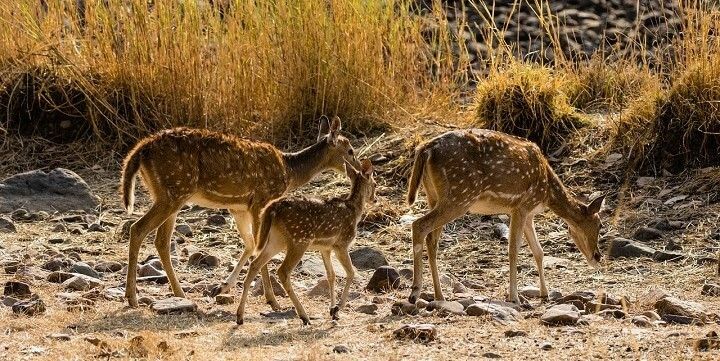 To spot unique wildlife, head to the Ranthambore National Park. In addition to old forts and ancient temples, this park is home to leopards, hyenas, deer, and the famous Royal Bengal Tiger. The Ranthambore National Park is home to leopards, hyenas, deer, and the famous Royal Bengal Tiger. There are several tiger safaris, but these animals are completely wild, so whether or not you spot one is largely down to luck! If NextStop24 helped you to choose your next travel destination, we'd be very grateful if you’d search for your accommodation and things to do in India through these links. They're affiliate links, which means that we will receive a small commission for every booking made through them. There are no extra costs for you; you'll simply be helping to keep NextStop24 running. Thanks! Home to the exciting capital city and many other interesting cities to visit.